At Signature Massage & Facial Spa, we do not believe in putting harsh chemicals or products on your skin that can have damaging effects or disrupt your natural biology. The skin is your largest organ and is capable of regenerating, cleansing and protecting itself. Nardo’s Natural organic skincare products are rich in nutrients but not heavy on skin, so they let it breath and assist with natural functioning. They are free of parabens, dyes and harsh chemicals. Made fresh in small batches with the finest botanicals, indulge yourself in the purest skincare derived by nature. Diane Pickering attended the Marinello School of Beauty in Burbank, CA. Originally she began her career in cosmetology in Hollywood, CA creating beautiful hair and faces for the modeling and entertainment industry. Since then, Diane has spent the past 20 years in the Tampa area practicing as a licensed esthetician, licensed cosmetologist, and master permanent make-up artist. During her years of practicing permanent make-up she educated herself on multiple techniques such as the hair stroke method, microblading, stippling, and powder fill. All techniques use tiny hand-held needles that are disposable, safe and sterile to insure the most natural enhancement to your brows, eyes, and lips. Diane is passionate about educating her clients on the benefits of organic skincare as well as nutrition and healthy skin. She is highly experienced with using microdermabrasion machines (crystal and diamond tip), all chemical peels, all methods of permanent make-up procedures, eye lash tinting, and full body waxing for both males and females. She currently works with local physicians staying up to date with the most advanced treatments for anti-aging and facial rejuvenation. The most gratifying part of Diane’s job is seeing her client’s skin improve over time due to her at home skin care recommendations. Over the years, she has realized that skincare is an ongoing work in progress and she has stressed to her clients the need to keep up with preventive and corrective skin care practices. She is dedicated to her career and her clients, and feels privileged to work around a great team of co-workers and friends who feel the same at Signature Massage & Facial Spa. This is a thorough, deep cleansing facial designed to improve the look of the pores, minimize breakouts, soften the skin and leave you looking radiant and glowing. Our facial includes a detoxifying steam, gentle cleansing, light face and neck massage, extractions and an individualized treatment mask for your skin type. Using Nardo’s Natural organic skincare products, this treatment will provide a refreshing glow and all around skin rejuvenation. Great for congested skin and problematic skin. Deeply exfoliating pumpkin enzymes loosen dirt and debris in the pore while you relax under warm steam. Extractions are performed to remove impurities and cell build up from the pores. A red tea serum soothes irritation and heals breakouts. A Mediterranean mud mask tightens and detoxifies the pores, finished by a soothing moisturizer and sun protection. Great for treating existing age damage and assists in slowing the age process. This treatment helps the formation of new lines and wrinkles using pentapeptides to improve collagen and elastin formation. Enzymatic exfoliation removes cell build up and brightens the skin. This deeply moisturizing treatment hydrates and nourishes the skin while protecting from environmental damage. Great for dry, mature skin, this facial helps to build elastin fibers, plump wrinkles while deeply moisturizing and hydrating the skin. Treatment includes resurfacing exfoliation, lifting and plumping mask, a hyaluronic serum and finishing cream to hydrate, reduce wrinkles and stimulate new cell growth. Relieve the discomfort of irritation or inflammation from acne, sun damage or rosacea with gentle enzyme exfoliation for sensitive skin. A gentle cooling mask reduces redness and calms irritation followed by a hydrating hyaluronic acid serum to rehydrate cells, and a calming protective finishing cream. Choose from three different relaxing aromas of essential oil aromatherapy while you receive a facial tailored to your skin type. Unwind in the relaxing aromas with a hand and foot massage. One of the most effective anti-aging treatments you can get, its benefits are many: softens fine lines and wrinkles, helps to smooth coarsely textured skin, decreases the appearance of scarring, decreases pore size, and reduces superficial hyper-pigmentation, also known as age spots. Microdermabrasion prepares the skin so treatments can penetrate into the deeper layers of the skin and help build collagen, which gives skin its youthful appearance. We also offer Decolletage Microdermabrasion which is performed on the upper part of a woman’s torso, comprising her neck, shoulders, back and chest, that is exposed by the neckline of her clothing. A quick and practical treatment which delivers darker, more luxurious eyelashes. Eyelash tinting takes about 20 minutes and last approximately 5 weeks. This service is professionally done by our experienced esthetician using a vegetable dye that is safe to use around the eyes. This treatment is offered as an add-on or by itself. The body salt scrub is an invigorating and cleansing treatment that leaves the whole body soft, smooth and radiant. This treatment is a deep full body scrub that exfoliates, nourishes, tones, and soothes your skin with a gentle, botanical-extract and vitamin-rich formula. Chemical peels are topically applied acids that aid in the restoration and rejuvenation of the skins surface. They create an even and controlled shedding of several layers of the skin allowing new layers to be exposed, creating a fresh new appearance. We have Glycolic, Salicylic and Lactic Acid Peels. The deep cleansing back treatment reaches areas of the back that are often prone to blemishes and skin congestion. We will cleanse, steam, exfoliate, extract (if needed), and then end with a therapeutic massage and soothing mask. Try this treatment to give the back an enhanced appearance on special occasions or before swimsuit season. In this foot treatment we will soften them with hot towels and sugar exfoliation, then end with a therapeutic massage to soothe any soreness. This treatment is offered as an add-on or by itself. This wonderful treatment helps buff cracks and fine lines to a minimum, eliminates tightness and dryness, restores amino acids and collagen, and locks in moisture for the smoothest finish available. We will do a gentle Bamboo Scrub Exfoliate, mask with Daily Fruit and end with serum and sunblock. This treatment is offered as an add-on or by itself. This treatment gently and effectively treats and minimizes fine lines, puffiness, sagging skin, and dark circles. We will use a gentle Pineapple Enzyme to brighten and exfoliate the eye area, followed by a light massage for circulation and end with our peptide serum and cool seaweed or cooling compress. In these modern times especially, women are intent on keeping their makeup ritual as short as possible while still achieving the best results. Permanent makeup, Micro-pigmentation Semi-Permanent, Microblading, Hair stroke methods, all offer a long-lasting pleasure of always looking good, not feeling so plain when you look into the mirror in the morning, and saves you quite a bit of time on makeup application. With permanent makeup, you will not be confronted with your imperfections all the time and you will feel more confident about your looks. When working out, swimming, or sweating you will never again have to worry about your eyeliner turning into a black smudge under your eyes, or losing parts of your eyebrows. Eyebrows are created with a combination of professional artistry techniques, including Microblading, Hair Strokes, Stippling, Soft Powder Fill, methods all to create a beautiful natural brow, tailored to each client’s needs and desires. The result will mimic the appearance of additional eyebrow hair with a soft shadow behind (it’s not just lines). Signature Massage Gift Certificates and eGift Cards are the perfect gift for every occasion – and for everyone on your list. Everyone loves a good massage, which makes a massage gift certificate the perfect gift idea. Why not with the best massage in Tampa Bay and the surrounding area. 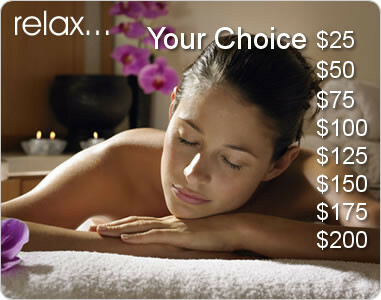 You can choose from $25, $50, $75, $100, $125 and $150 or choose from any of our deal vouchers. Your friends or loved ones will receive the Tampa massage therapy service of their choice, at a time and date that is convenient for them. Vouchers & eGift Cards can be sent to your recipient specified or utilized or your own use.